Canada’s first Specialty Tea Boutiques opened around 15 years ago and premium loose leaf tea has enjoyed an amazing journey since. This was at a time when consumers didn’t know the difference between green and black or the powerful health benefits many teas possess. Today’s popular mainstream herbals like Rooibos were nowhere to be found and having a decent cup of tea in a restaurant was virtually impossible. Since then, choices and varieties of flavours hugely increased as more and more tea shops opened their doors. Consumers are now able to find choices like never before. However, grocery stores and fine food shops were mostly left behind and the true premium teas are still only to be found in specialty boutiques. The other drawback seemed to be that the prices increased due to the growing competition. With that, some of the quality started to suffer. This is when Buddha Leaf was born. We are now changing the way tea is sold again and we are bringing the experience to a grocery store near you. 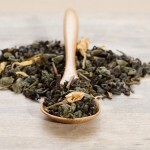 Buddha Leaf Tea is what happens when decades of passion and know how is moulded into one product. 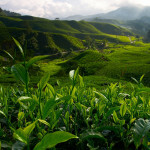 Our mission was to take a fresh approach and bring far superior teas than our competition to the market. They had to be 100% organic, non GMO, gluten free, vegan and kosher. Above all, they had to be outrageously tasty and we were determined to use only natural flavours. 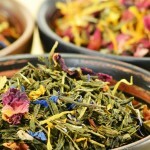 This was a good start but we needed to be sure that these super premium teas could be delivered to the consumers shopping cart for significantly less then what a specialty store would charge. We are happy to report that we succeeded. Buddha Leaf is all this and more. Our teas are ethically sourced and packaged in minimalistic and environmentally friendly zip lock pouches. They make a great gift but are also perfect for every day. We invite you to join us on this culinary journey.